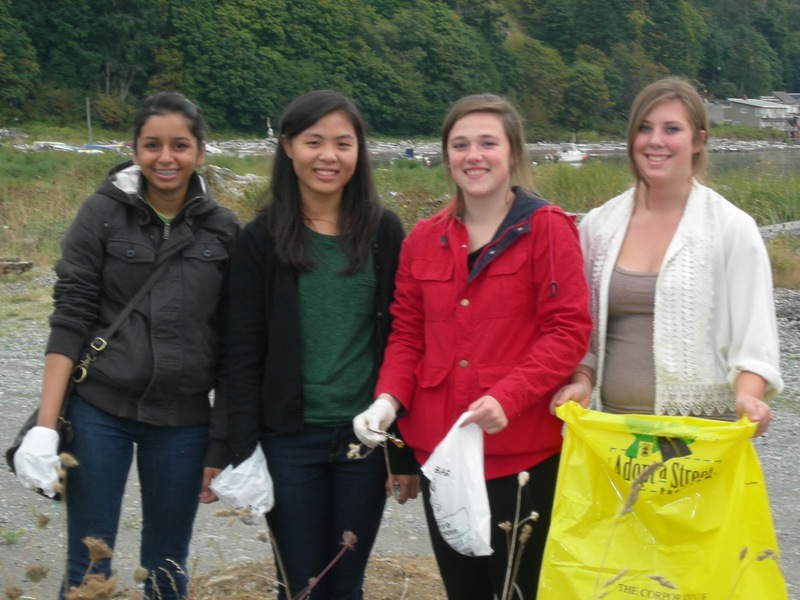 In schools, we often talk with students about environmental responsibility. Considering the vast consumption that characterizes global society today, it is important that we each do our part to preserve the world we live in. In fact, we should be trying to leave our environment in better shape for others in the future. I'm encouraged by the efforts last week of a group of Pacers who modeled for our community, their respect and care for the environment. A group of 40 students and teachers from Delta Secondary participated in the Great Canadian Shoreline Cleanup. 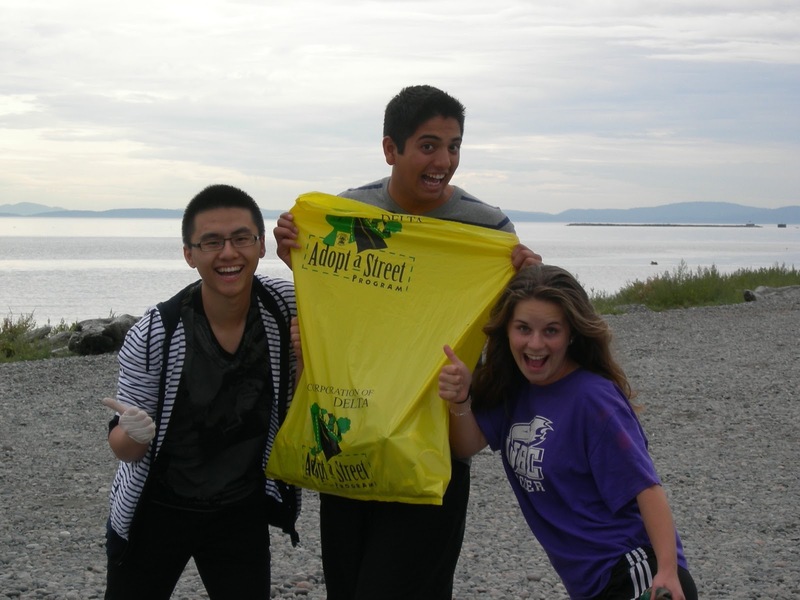 During the course of a couple of hours one afternoon, the team of students led by Ms. Huff and Ms. Gunning managed to collect over 20 pounds of garbage! As incredible as this sounds, the fact that most items that they collected were quite small makes the accomplishment even more amazing! 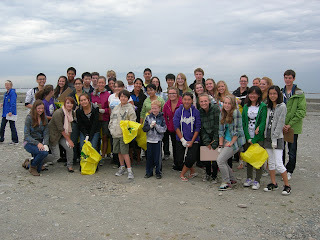 The following comments were written by Charles, a Grade 11 student who participated in the cleanup. Why did I do the shore line cleanup? 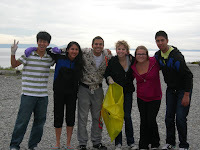 I did the shoreline cleanup because the rest of the year it seems like I can go throughout my life carefree of environment stress. I don’t have to worry about what’s happening to the rain forest or what’s going on in the gulf. Not to say that the rest of the year the environment gets put on the back burner. I still recycle and compost and turn off the lights when I’m not using them. But by doing the shoreline cleanup, I feel that I don’t have stress the same way and I know that I’m still making a difference. So if there’s one day a year that I can go out and make sure that my local environment stays clean then yes, I’ll take an hour of my life to make sure that it’s still there when my kids get there. It was nice to walk along the shore and be that close to nature with friends, and I loved weaving between logs looking for trash. I was a little disappointed that I didn't find more garbage but also relieved. I felt that we made a huge difference and I was happy to help out.